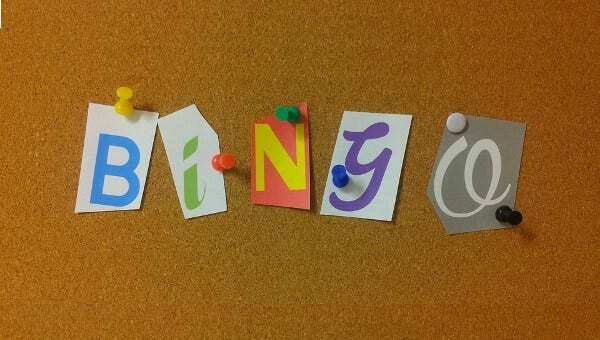 Bingo is one of the most popular games due to its fun game play and easy instructions. 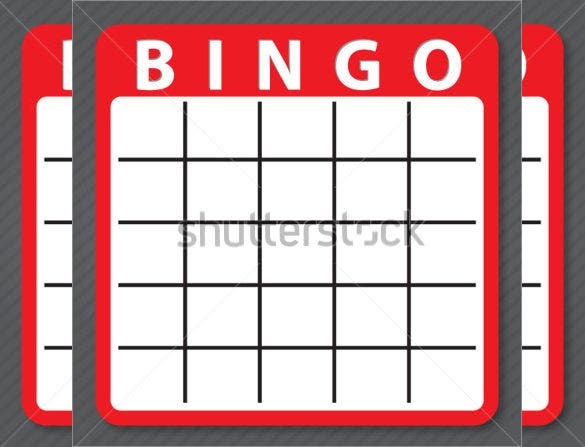 This is a game which has garnered loads of fans and you do not need much to take part in this game.This explains the reason for the popularity of blank bingo templates which are available almost everywhere on the Internet and may be downloaded for free without any sort of hassle. 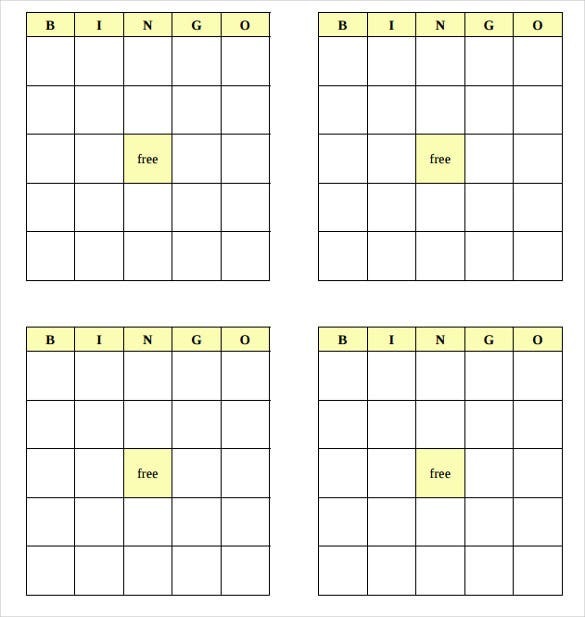 The bingo templates are available in different formats and you may need to select one which fits your requirements. 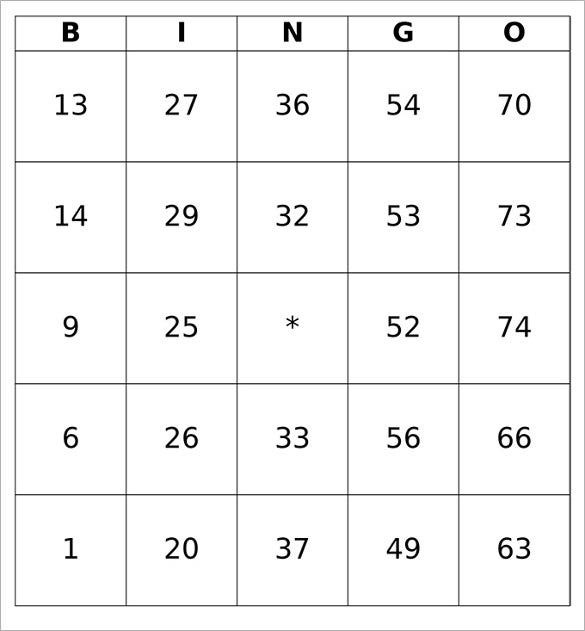 Black bingo board is a black bingo template that can be downloaded to customize any bingo game. 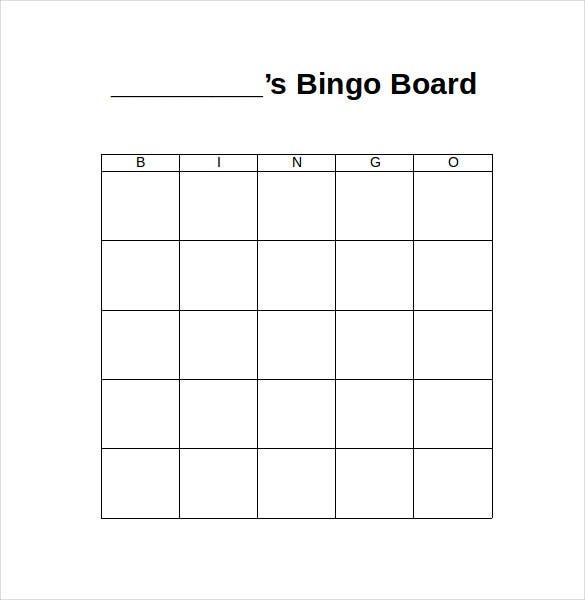 The template just has boxes with bingo written on its top. The name of the game can be filled in the title column and one can start playing the game. Full customization is possible in the digital template. 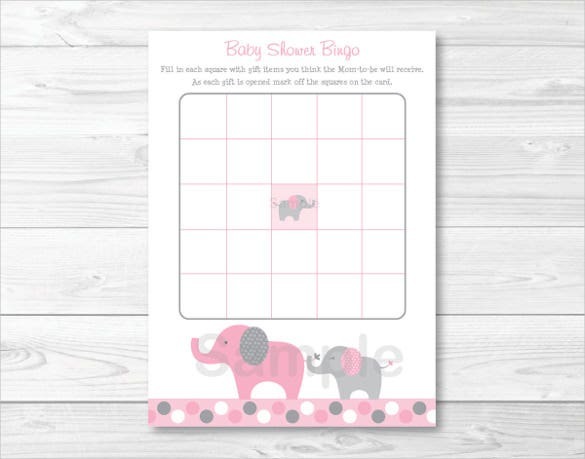 This Chevron and Pink Baby Shower Bingo Game template is graced with the soothing pink color on the top and grey and white chevron design. The template is a great addition to the baby shower party. It is a handmade item and the color output of it will depend largely on the print quality. 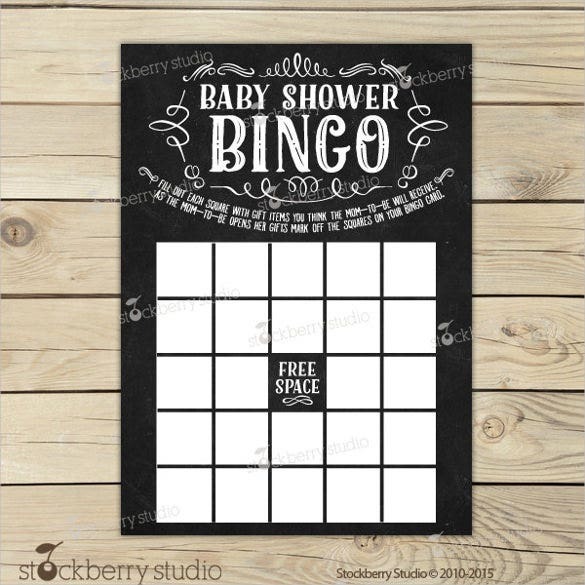 A Chalkboard Baby Shower Bingo Game Template is great for baby shower. 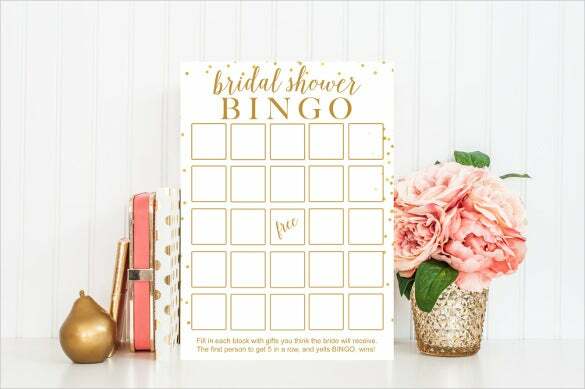 The template makes Baby Shower Bingo game interesting by allowing guests fill in gift ideas in each of the box. Once the mother opens the gift, she can tick off the ones she has received. The black and white template can be customized with printable options. The winter gray Snowflake Bingo card template is appropriate for the bridal shower. The grey color of the template provides a look of the snow and winter and it looks cool and soothing to the eyes. This is an after February template. 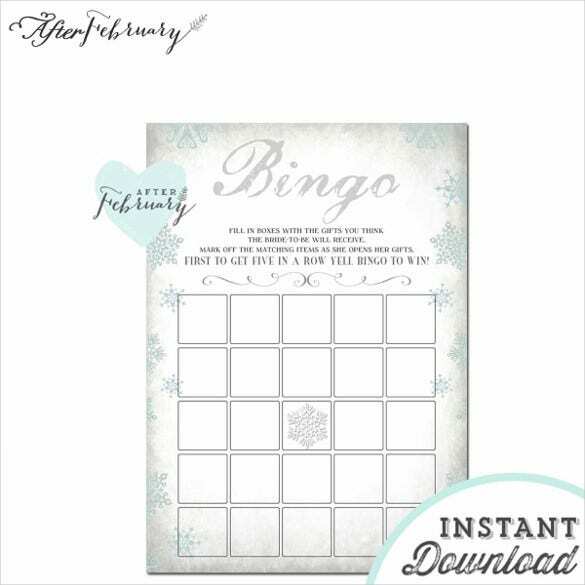 The white template can be customized with gifts or just bingo games to be played. 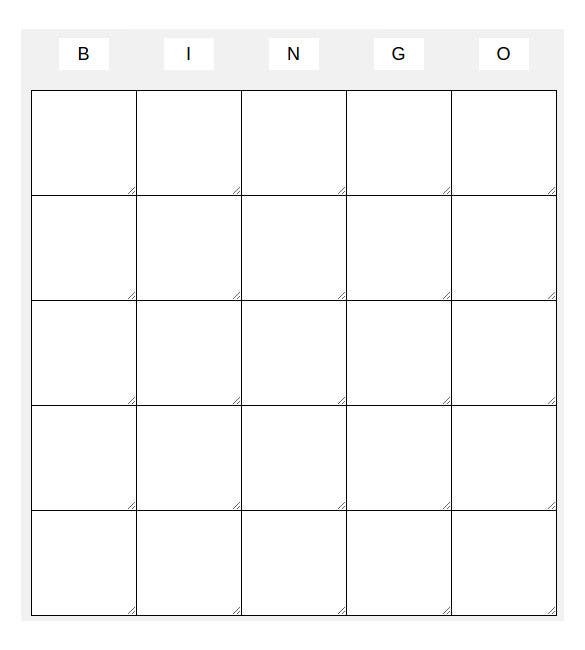 The blank bingo template free can be customized in an extremely easy and simple manner and so, if there is any aspect of the game that you would like to alter, you are free to do that easily without any sort of hassle. Just make sure you save any changes that you have made before exiting. 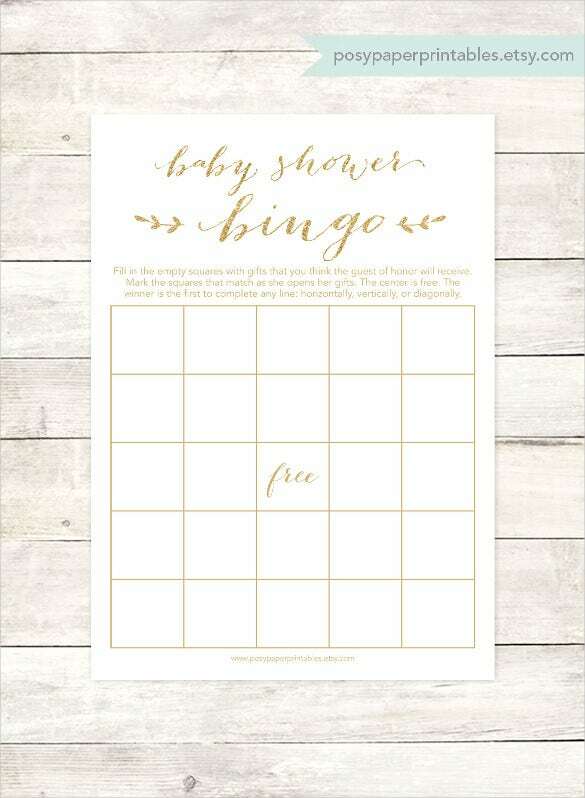 All you must do to use the baby shower bingo game template is open it in a size that matches your requirements. You need to highlight any existing text in the template and then type over with your own text and change the numbers in a random order. 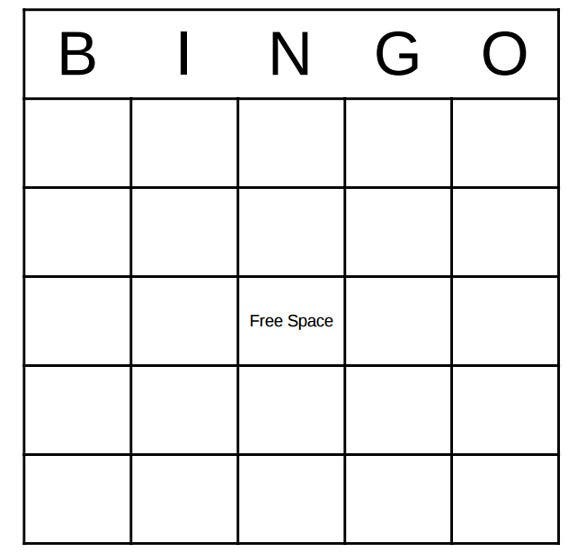 You are free to use (blank bingo cards,bingo template,bingo card template) whatever font you want in game of bingo. If you have any DMCA issues on this post, please contact us! The documents or the templates are either available in PDF or Word file. Some templates can be downloaded for free while some has to be paid for. The edit option is not available for some templates. The products are generally for personal use. The verbiage change is possible as per demand of the customers.